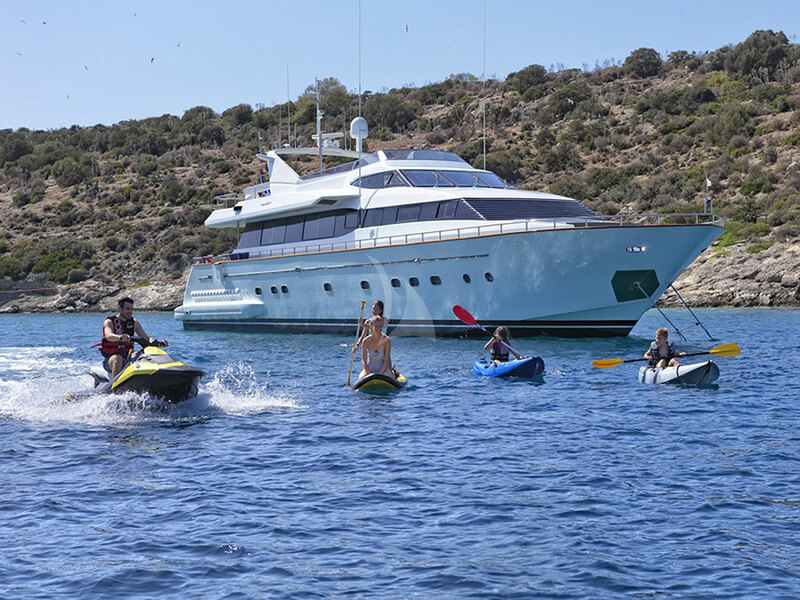 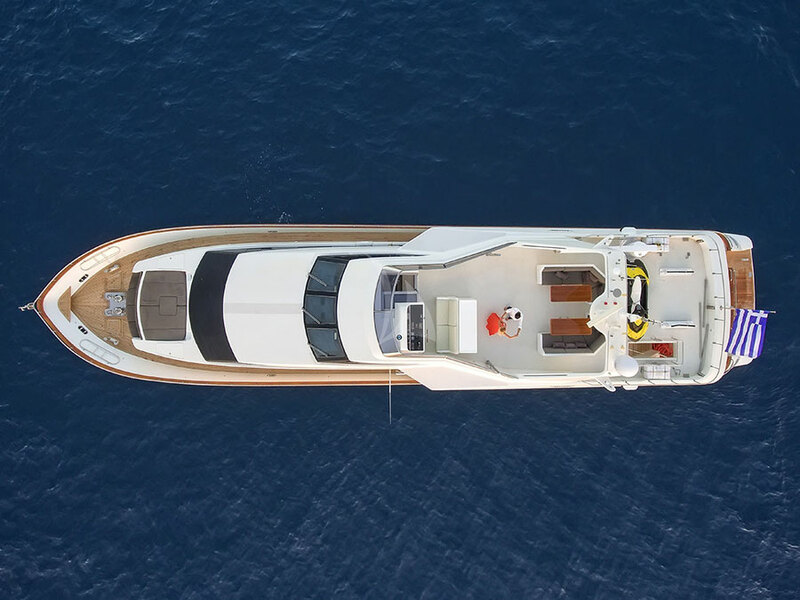 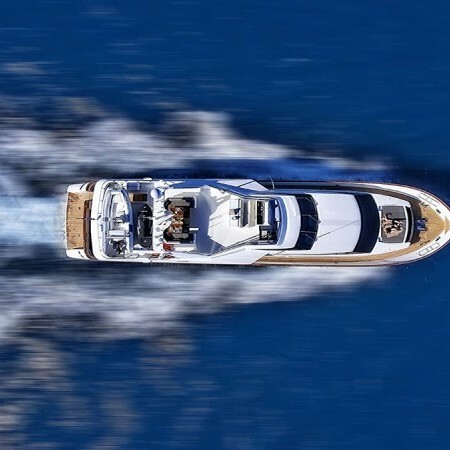 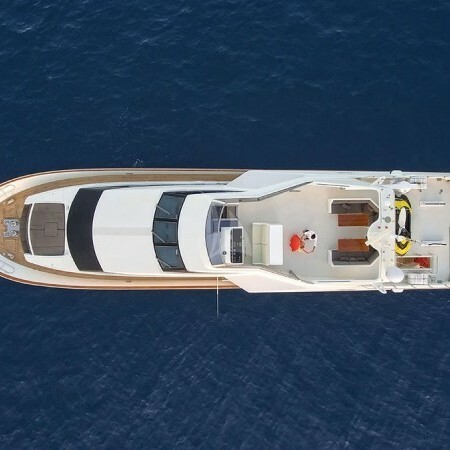 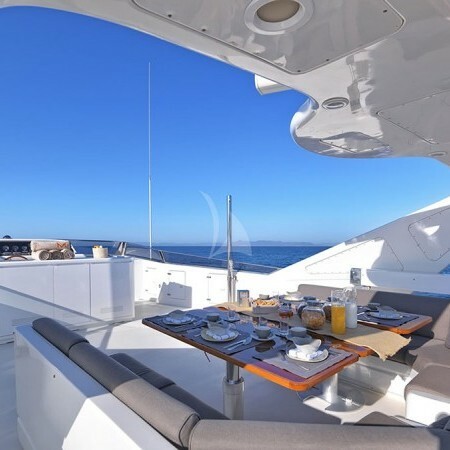 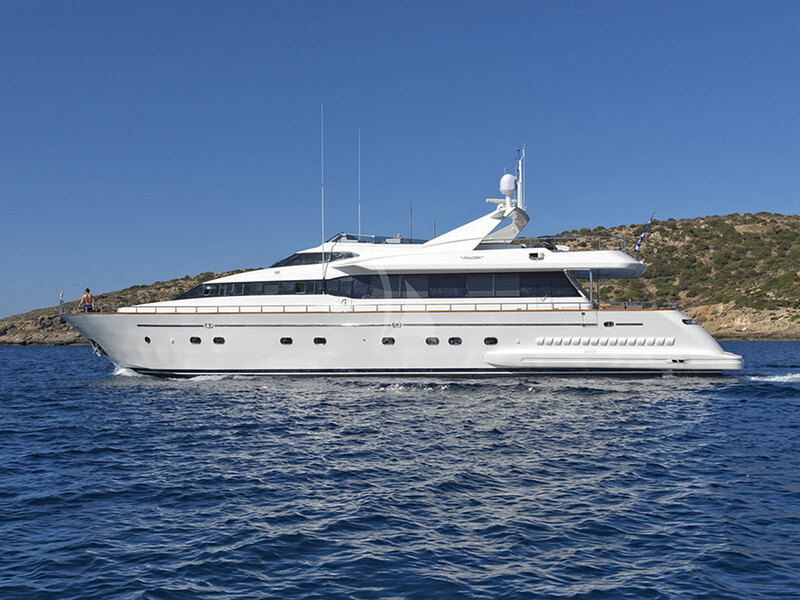 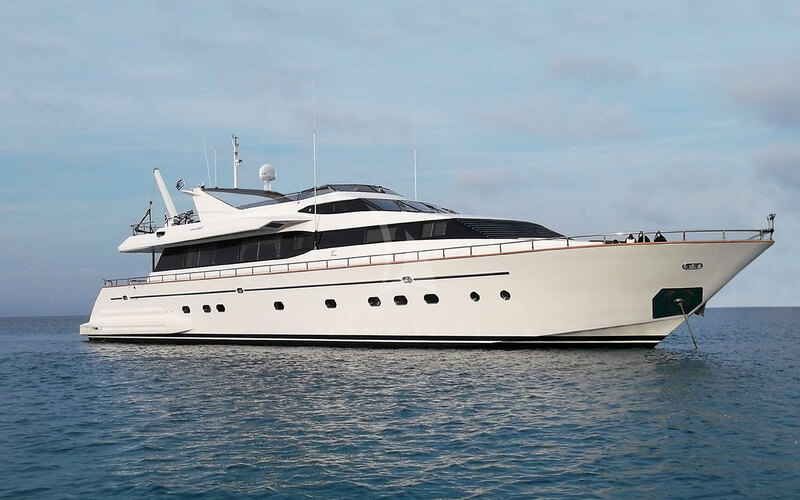 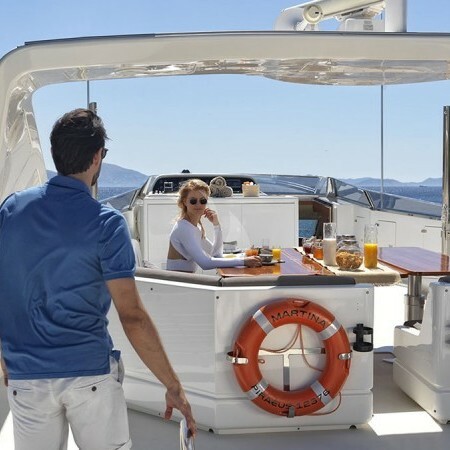 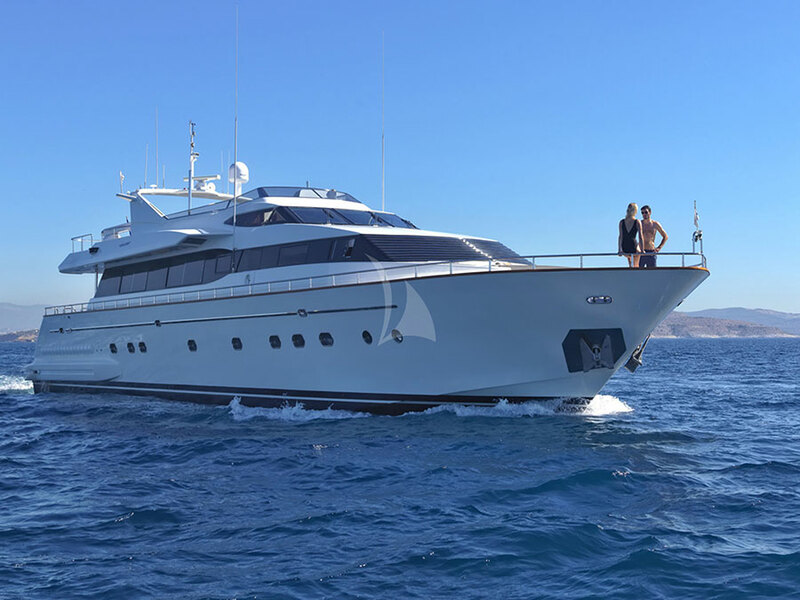 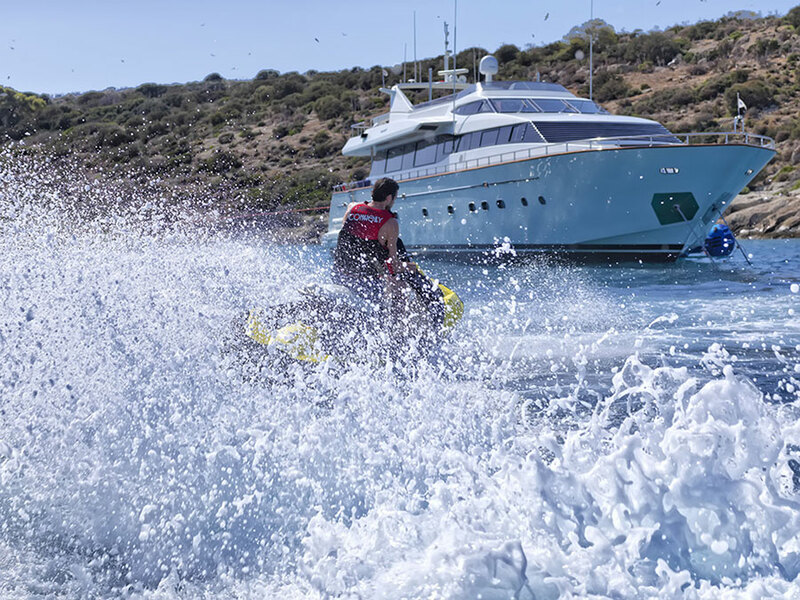 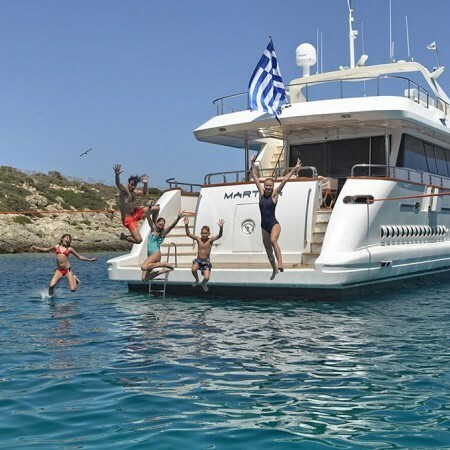 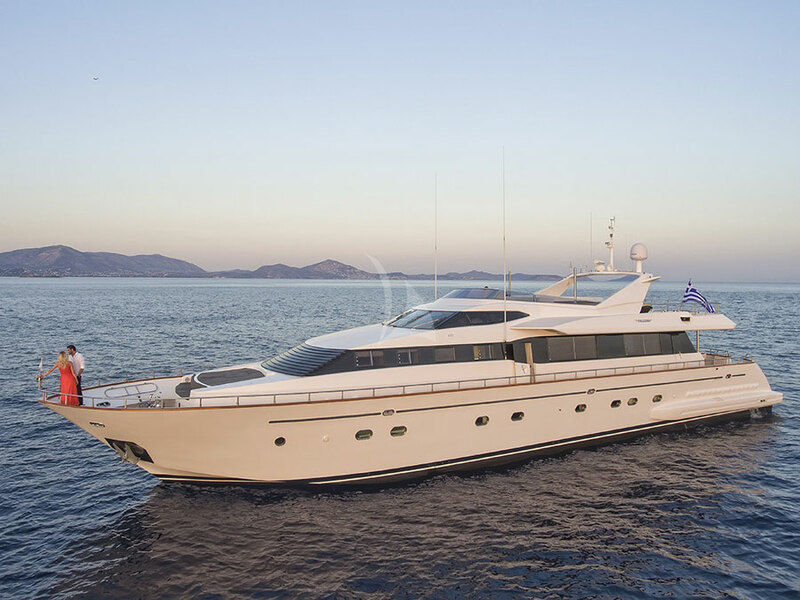 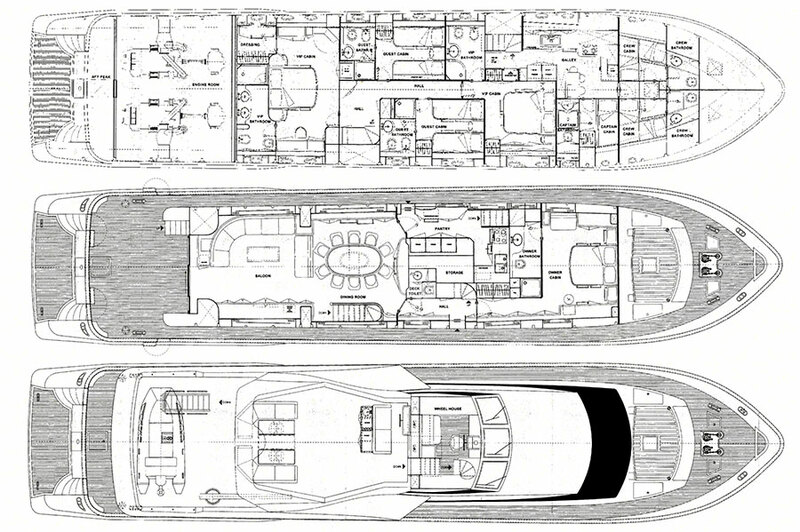 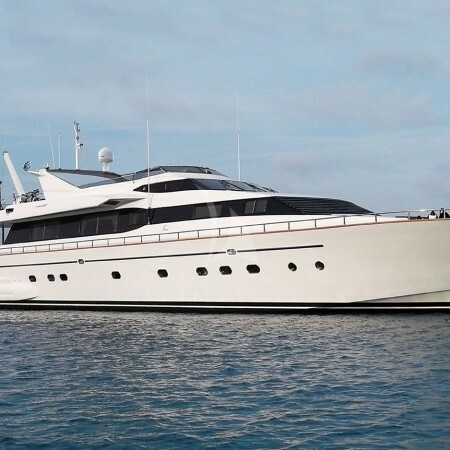 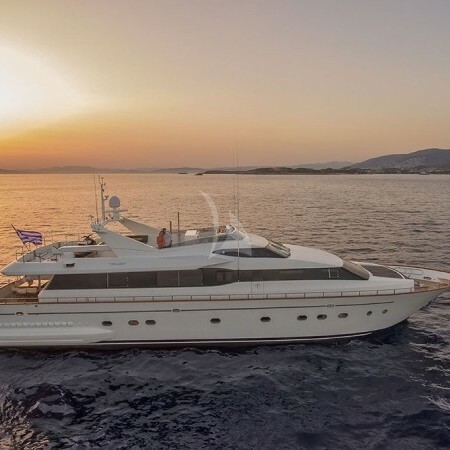 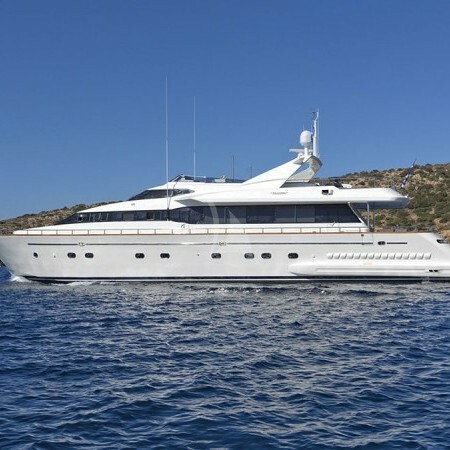 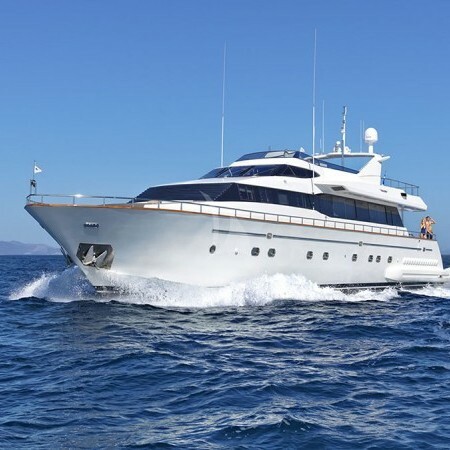 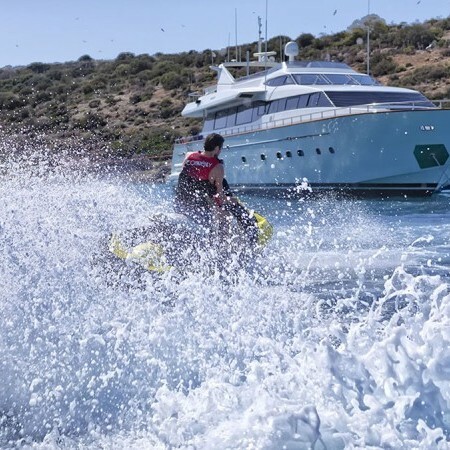 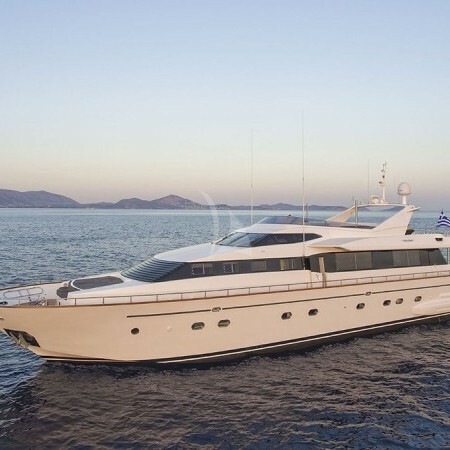 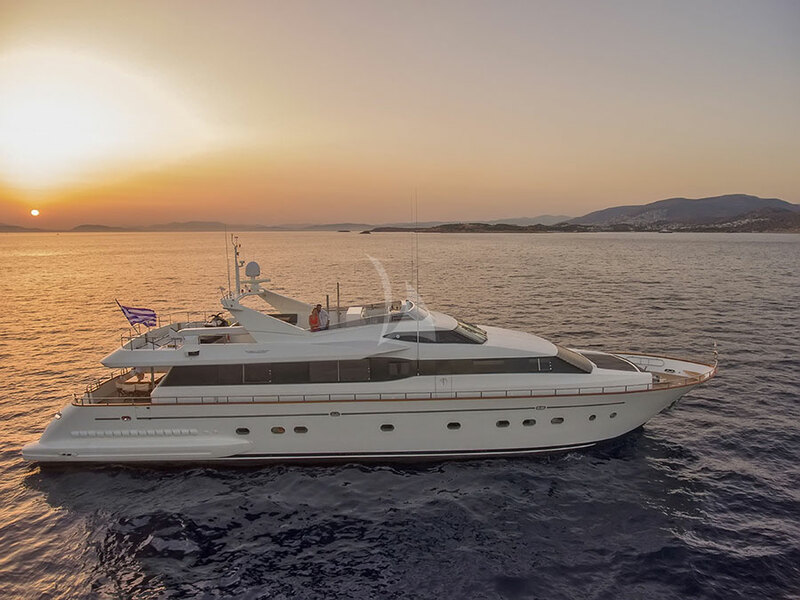 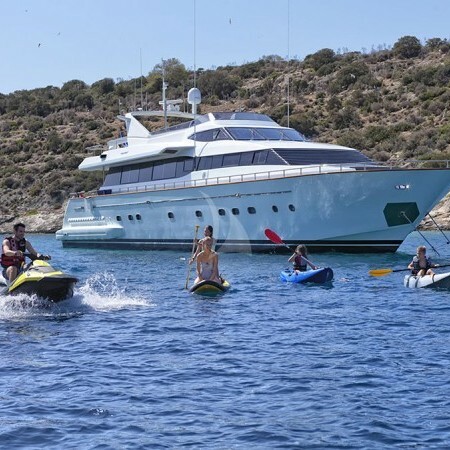 Martina (previously named Mia Zoi) is a 31m crewed elegant luxury motor yacht for rent in Greece. 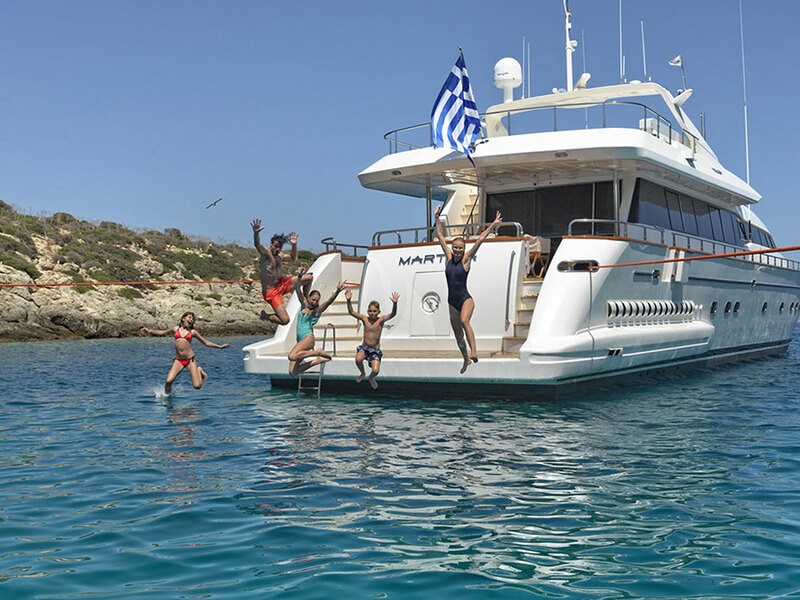 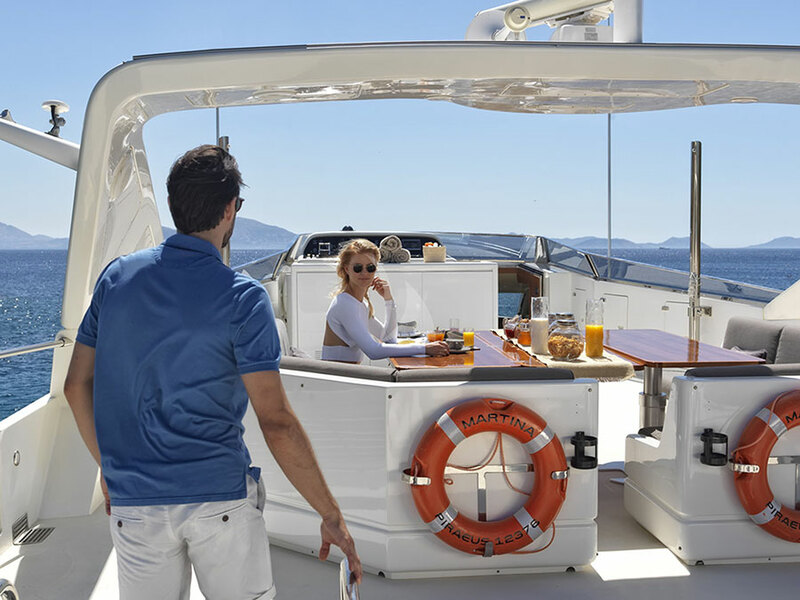 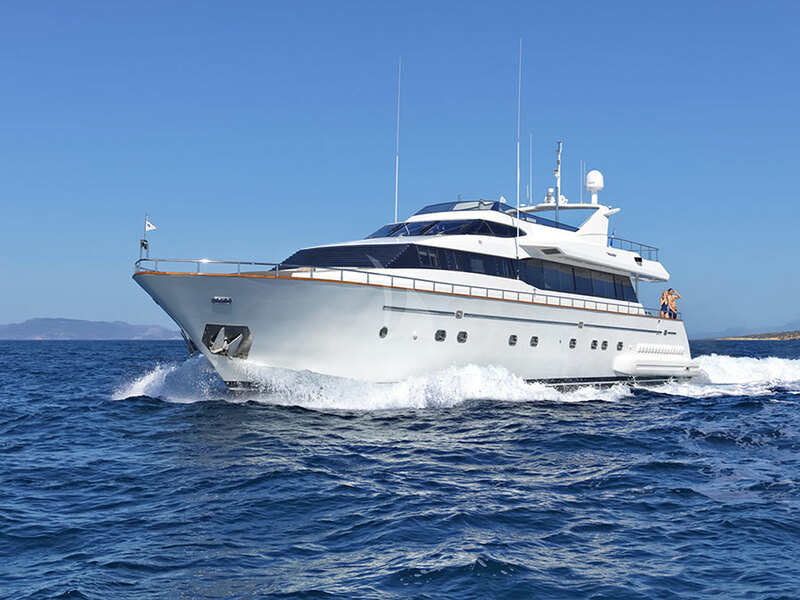 Built in 2002 by Falcon and totally refitted in 2016, Martina offers her guests a combination of luxury and performance. 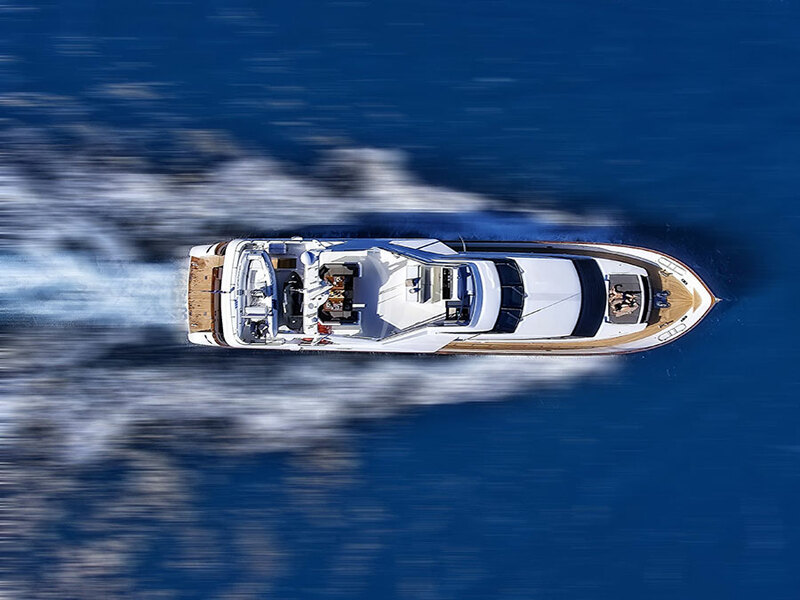 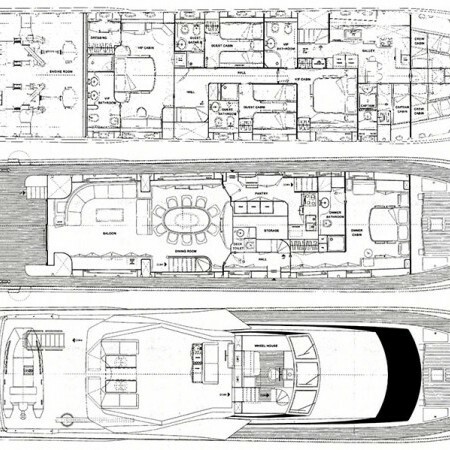 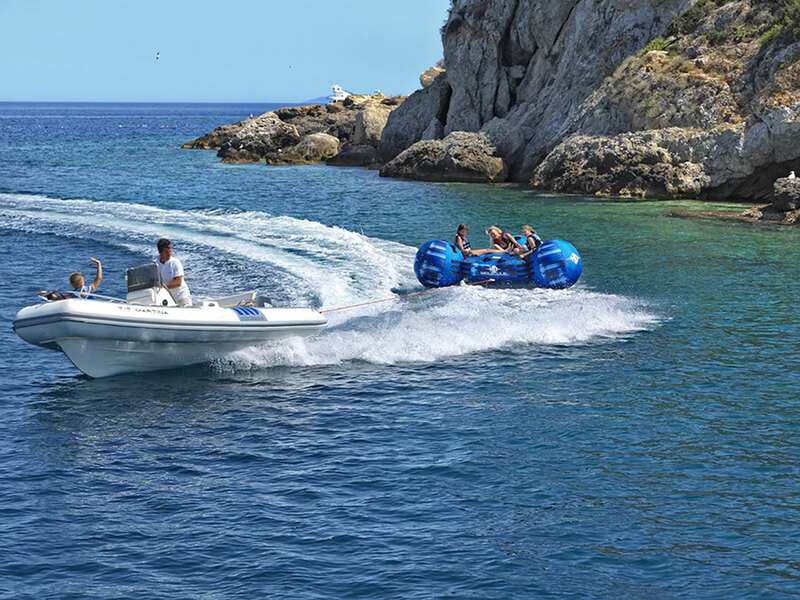 The powerful two engines, each of 1800hp can reach a cruising speed of 22kn making your cruise comfortable and mostly safe. 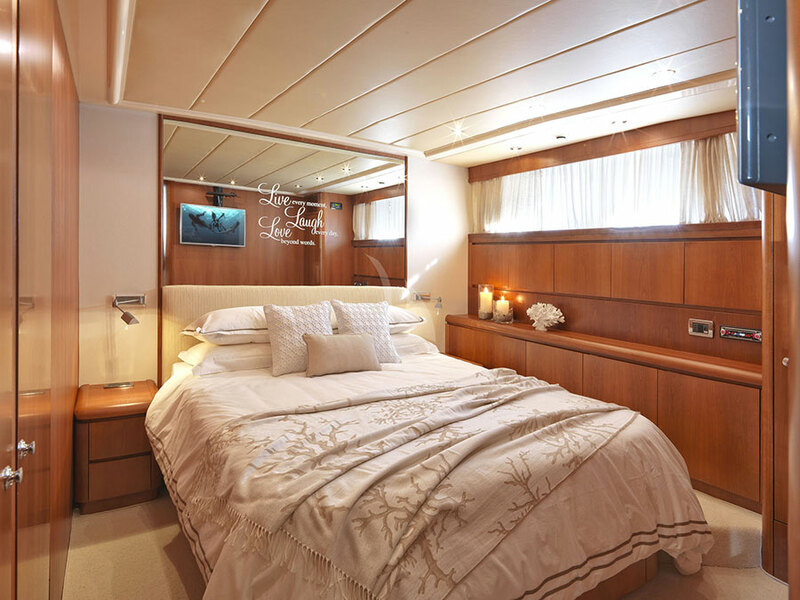 Stefano Righini is responsible for her beautiful exterior and interior design. 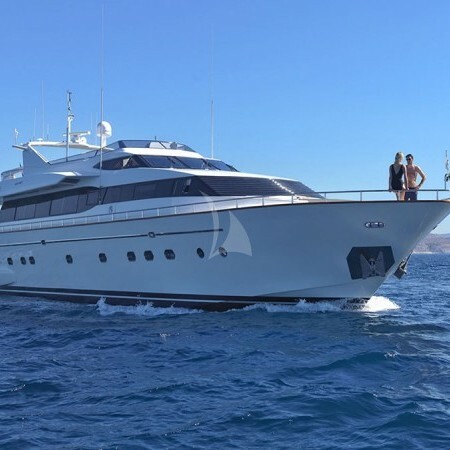 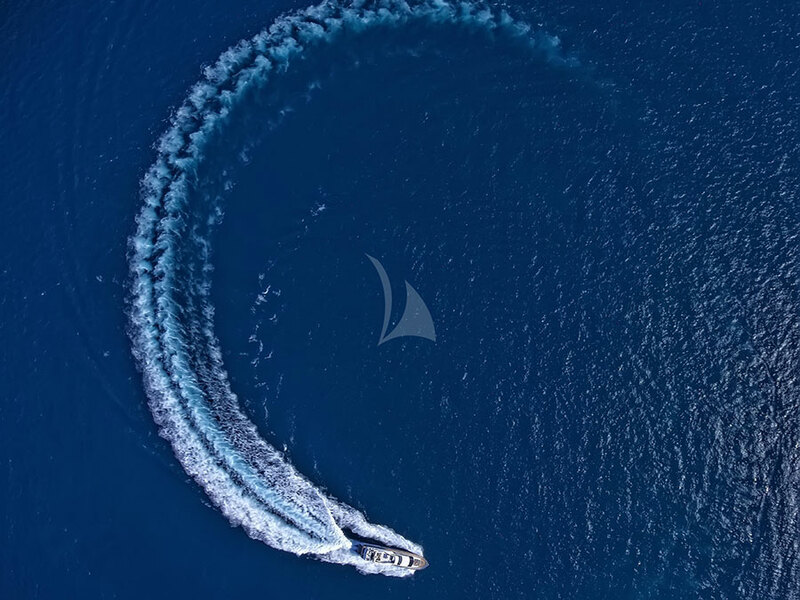 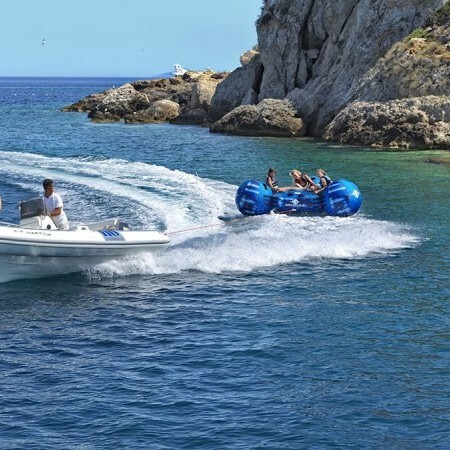 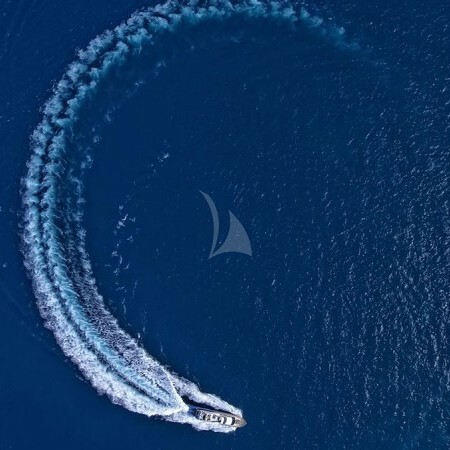 Her professional and friendly crew of 6 will welcome you on board and make your vacation a unique and superb experience. 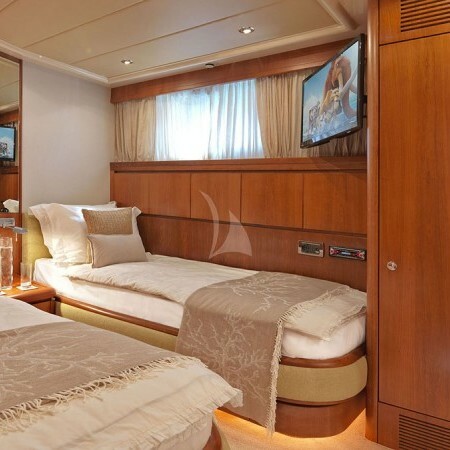 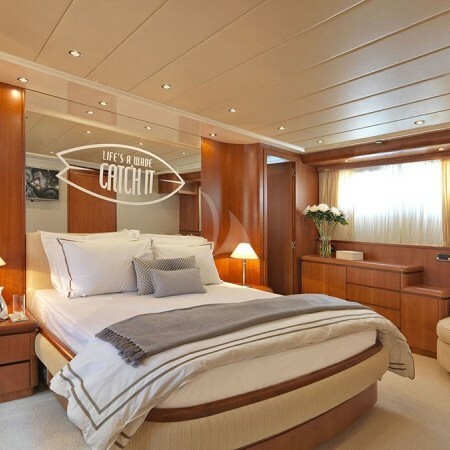 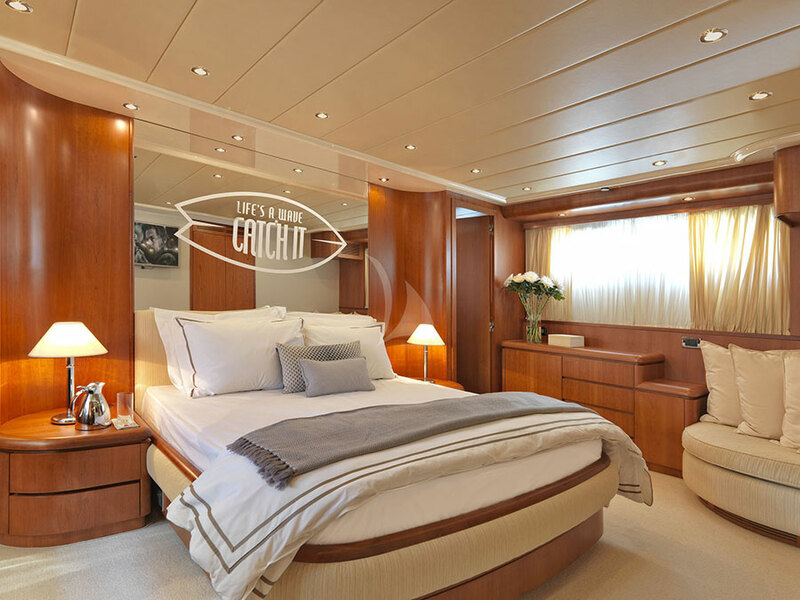 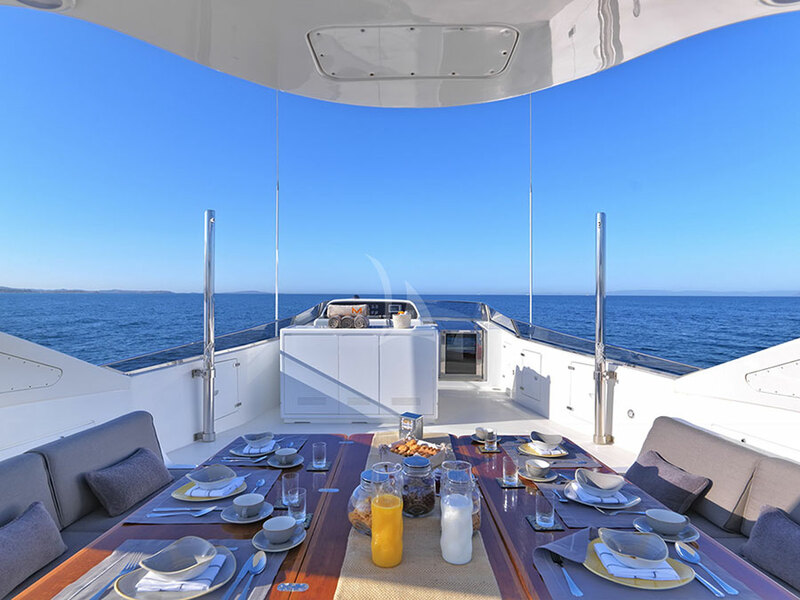 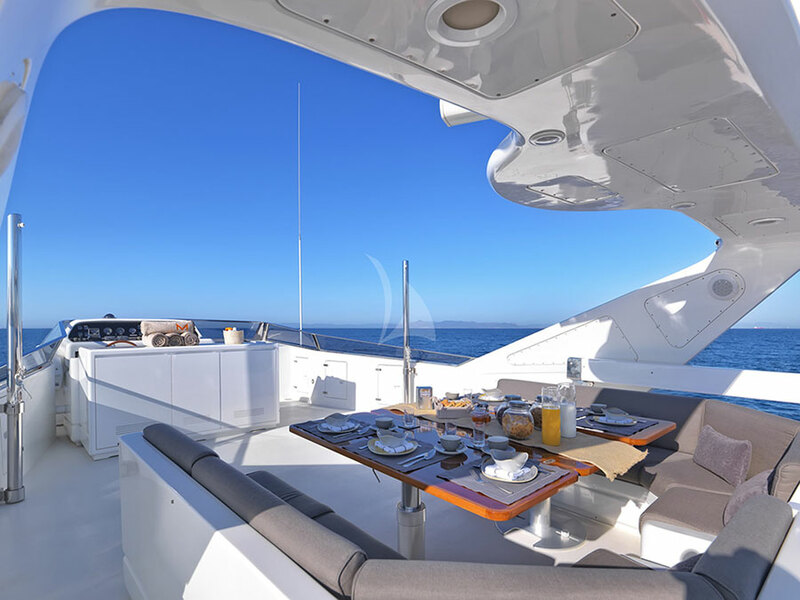 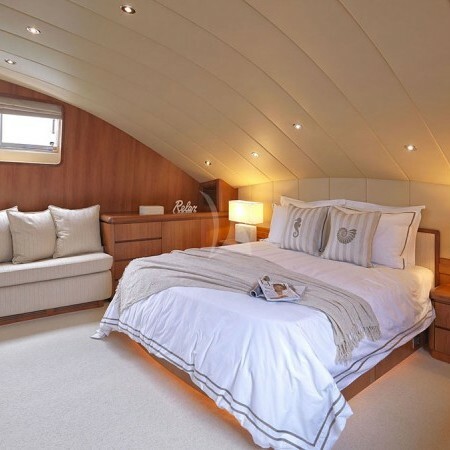 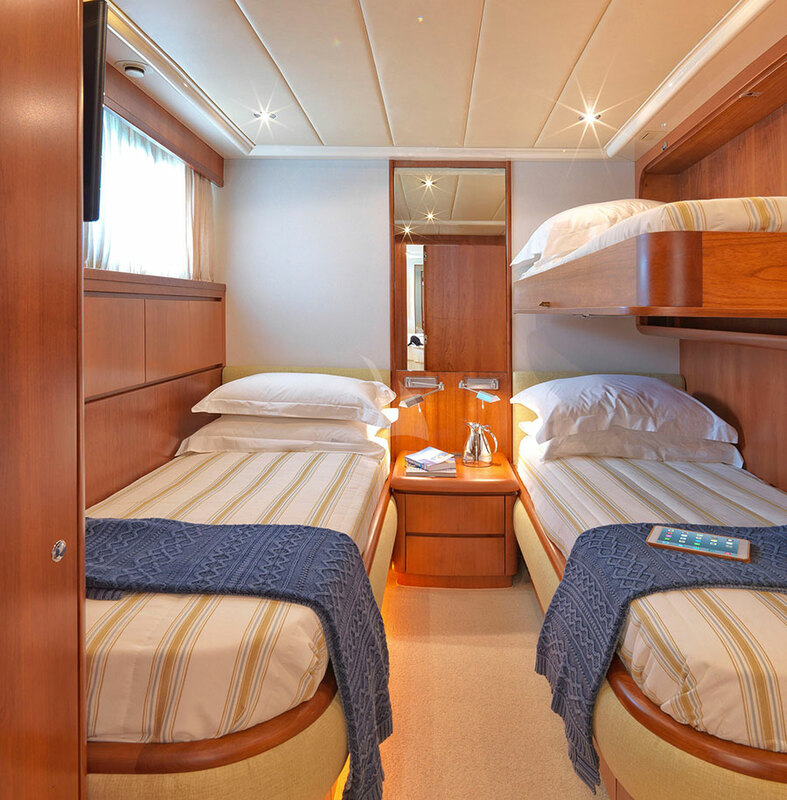 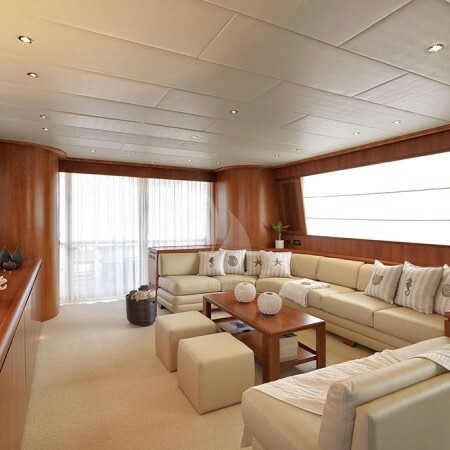 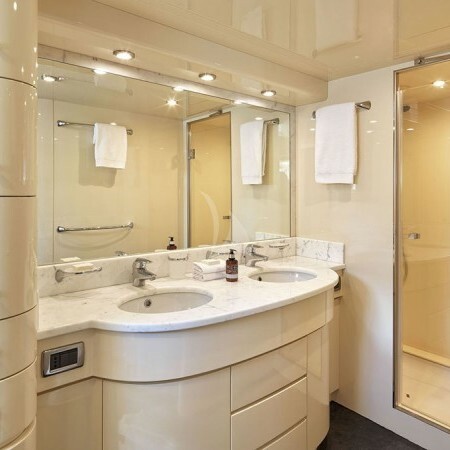 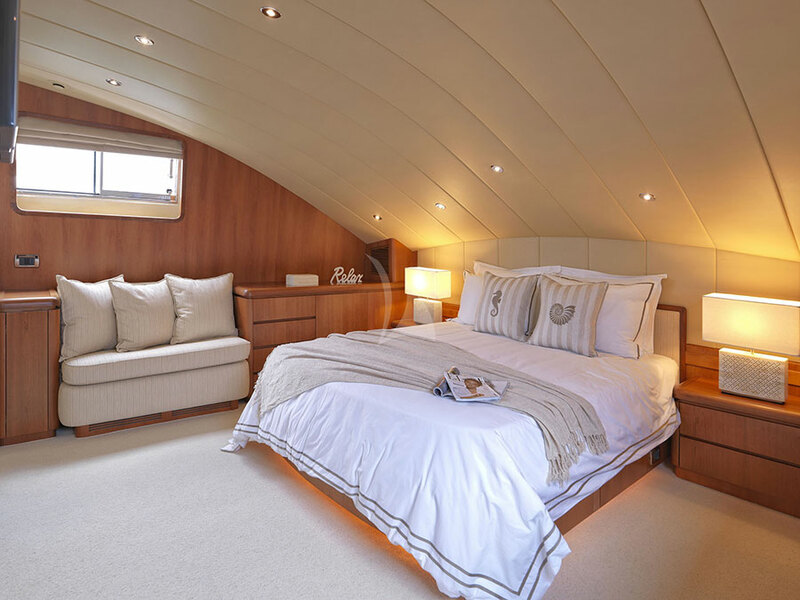 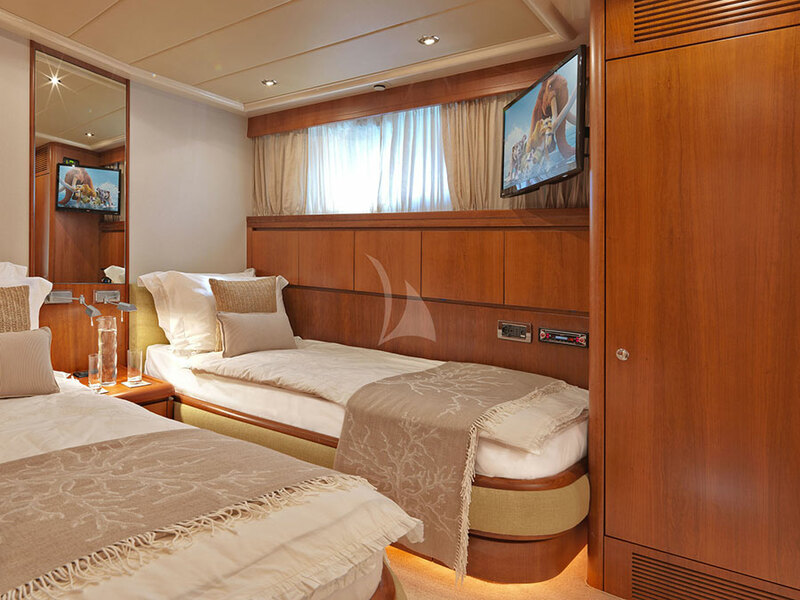 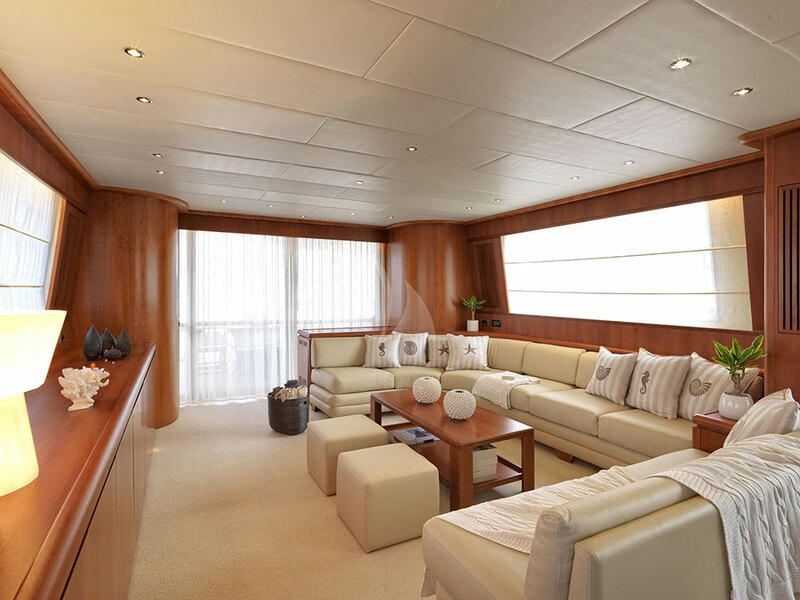 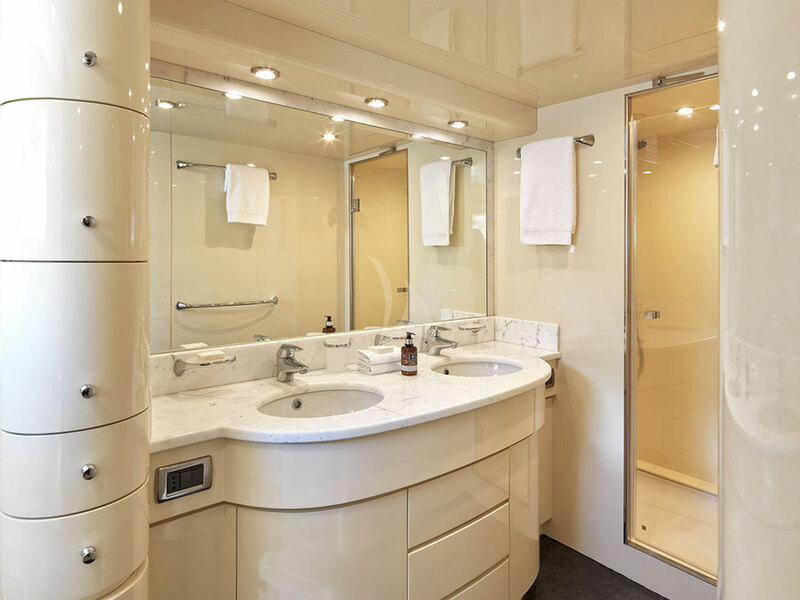 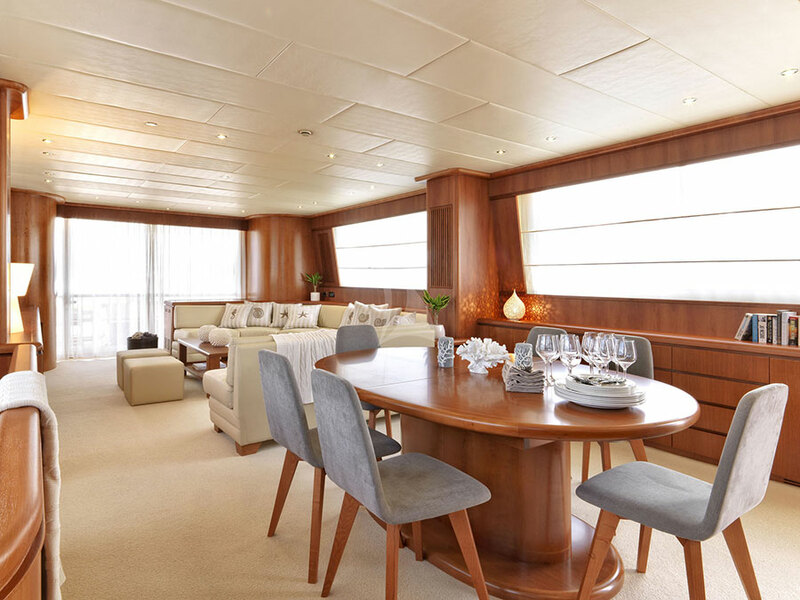 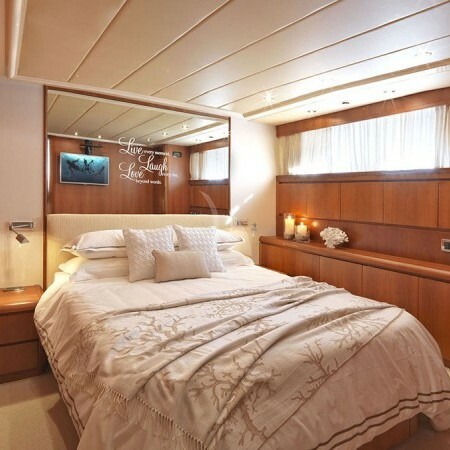 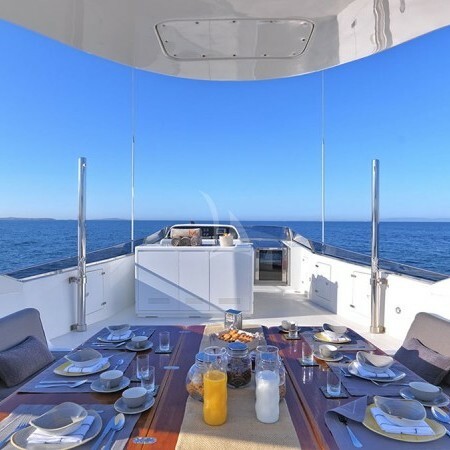 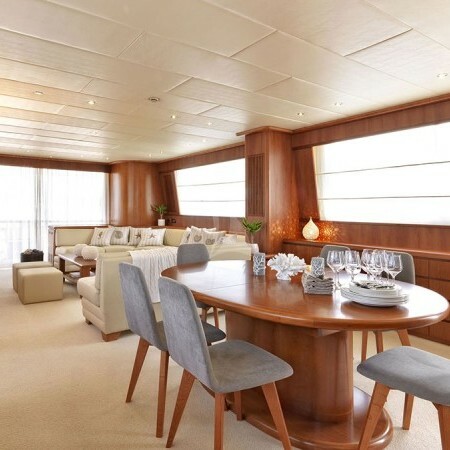 Martina luxury yacht can accommodate up to 12 Guests in her 5 spacious cabins, including 1 Master, 1 VIP, 1 double cabin and 2 twin cabins with Pullman beds, all equipped with en-suite facilities.